If you missed last year’s Vietnam cooking class, then mark your calendar! I have another set of simple, fresh and tasty recipes from my travels and classes I experienced while there. From Hanoi to Ho Chi Minh City, all these recipes are tried, true and simply delicious. All recipes are naturally gluten-free. 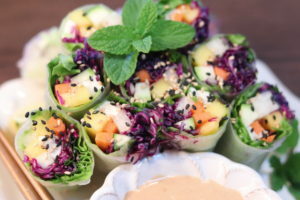 Learn the technique to make these beautiful summer rolls with fresh herbs, tofu and vegetables. Its the perfect way to start off this fabulous class. Pomelos are from south-east Asia and are similar to grapefruit but slightly bitter. 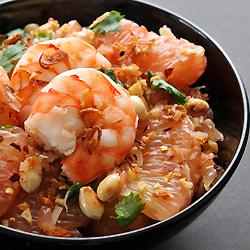 They hold together well and are perfect in this citrus salad. This simple soup is delightful with only a few ingredients and is packed with flavor. We'll hold most of the chiles because this recipe is traditionally super spicy. 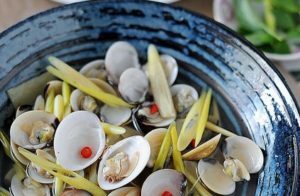 Looking back on my trip to Vietnam, this was one of my most memorable meals that I learned to make while in Hoi An. Tender chunks of white fish is marinated in a delicious turmeric ginger sauce and cooked to perfection, then loaded down with fresh dill and green onions-the best! 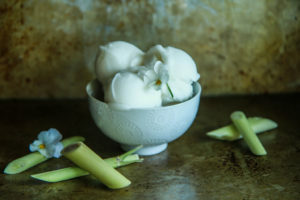 This is the perfect palette cleanser with a coconut base and a light refreshing lemongrass and lime finish. Tickets are not available as this cooking class has passed. The cancellation policy enables me to bring you cooking experiences that are small, intimate, and hands-on. Any cancellation up to two weeks prior to your class start date will be refunded 100%. Cancellations up to 5 days before your class start date will qualify for an online credit to be applied to another class. No refunds, credits or class transfers will be issued for cancellations received less than 5 days before your class start date, however, you may always send a friend in your place if you’re unable to attend.